WAYNE COUNTY GEM & MINERAL CLUB, INC. 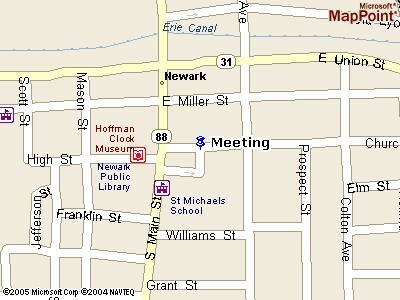 MEETINGS are held on the 2nd FRIDAY of each month at 7:00 P.M. Meetings in July & August are held at different locations and will be announced in June and at this website. OBJECT of our club is to stimulate interest in earth science, the collection and classification of minerals and fossils, the lapidary arts, and gem cutting. THE CLUB is a non-profit, educational, and recreational organization. MONTHLY PROGRAMS are "down to earth" with learn-how sessions, informative speakers, slide programs, videos, exhibits, contests, etc. All find this a fascinating hobby because of its many aspects. GUESTS ARE ALWAYS WELCOME to attend our meetings. Field trips are taken during good weather (And sometimes when its not so good). Guides show us productive locations and tell us what to look for. Details, Maps, and information are also found in our monthly newsletter, the "Wayne County Gem and Mineral Club News"which each member receives either by email or U.S. Postal service. Mini-Miners meet at 6:30 PM for a program specifically for them. night many of the attendees joined the new club.